The 1951 reference 6085 stainless steel ROLEX 34mm. 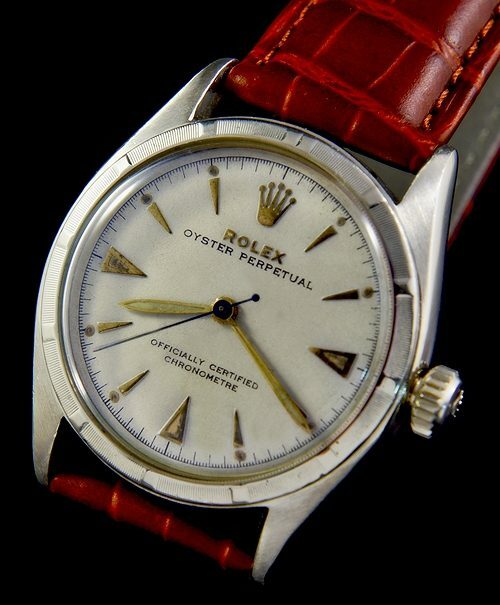 Oyster Perpetual is an inexpensive way to own a vintage automatic winding ROLEX. The dial was restored many decades ago and retains the original gold toned raised triangular markers, Rolex crown insignia and matching pencil style hands. The original engine turned steel bezel adds flair. The ROLEX NA automatic winding movement was just cleaned and is accurate. A new ROLEX crown and tube was just installed. 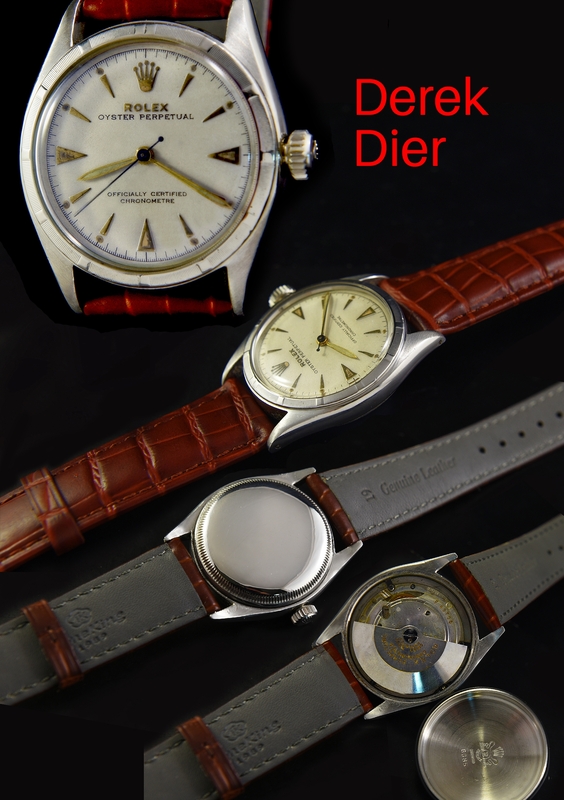 This is the same movement as was used in the smaller sized ROLEX BUBBLEBACK from the same era. The entire watch looks excellent overall.